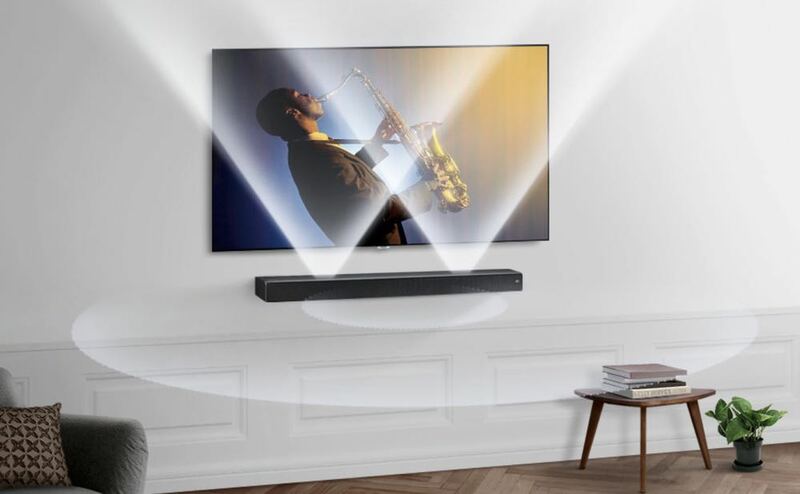 Samsung was just announced the Sound+ MS750 – a versatile new soundbar that provides an enhanced audio experience to make your home entertainment even more enjoyable. 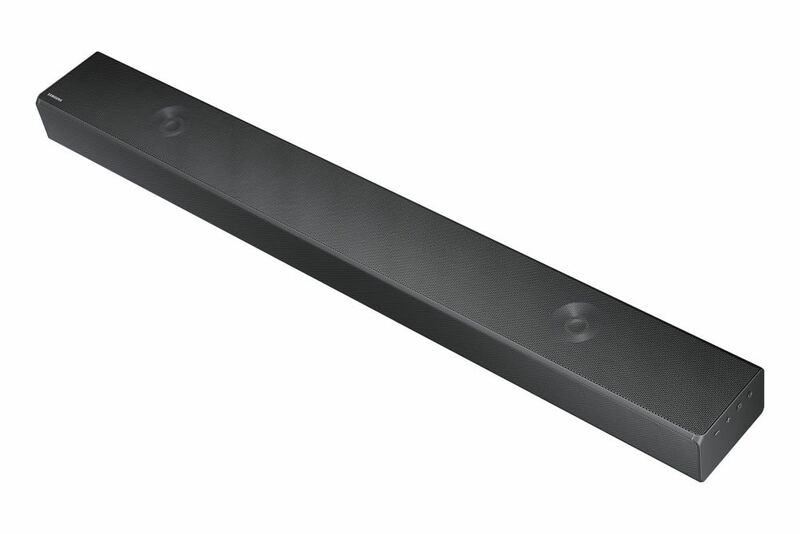 The sleek MS 750 can rest below your TV on an entertainment unit or be mounted on the wall. 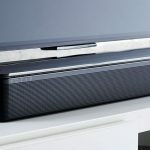 The soundbar has 11 speakers onboard including built-in woofers and upward firing vertical tweeters to provide a rich and clear sound that will fill the room. 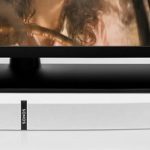 Samsung’s new Sound+ MS750 is an elegant all-in-one solution that provides impressive surround sound without the need to set up multiple speakers around the room. 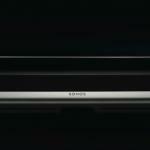 The sound bar even connects wirelessly to the TV either via Bluetooth or wi-fi so you won’t see the clutter of cables. It also has Distortion Cancelling technology that can cancel any distortion even before it happens. Users will also find multi-speaker control which looks after the output and bass in coordinating each speaker so you hear a clearer sound. The Samsung Sound+ MS750 can also automatically adjust the sound to suit whatever you’re listening to whether it’s a movie, sport or music thanks to the Smart Sound mode. 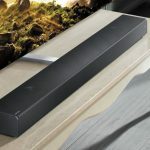 And if the sound bar is connected to a Samsung TV you will be able to control everything, including the soundbar, with a single remote. If you want to take your sound to an even higher level you can add a standalone Samsung subwoofer (SWA-W700) with bass as low as 27Hz. 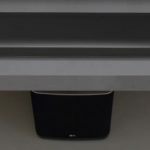 It’s also possible to add wireless rear speakers to add even more punch to the sound. The Samsung Sound+ MS750 can also be utilised to wirelessly stream your music and add it as another part of your multiroom audio system. The device offers 32-bit sound upscaling so your favourite songs sound better than ever. 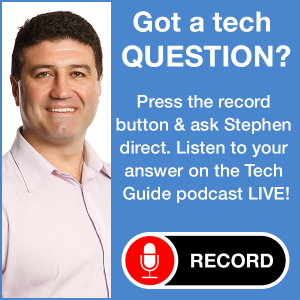 This is the latest Samsung audio product that was tested and fine-tuned at the company’s audio lab in California where engineers used advanced computer modelling to come up with a balanced sound. 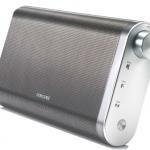 The Samsung Sound+ MS750 will be priced at $999 and available from early August at select retailers. The Samsung SWA-W700 subwoofer is priced at $799.